Stroller rentals, free Wi-Fi, family and breastfeeding rooms, and much more, all at Place Rosemère. A wide range of services await to meet the needs of the whole family. Single, double and newborn strollers are available, FREE of charge, at the Info-Centre. Limited quantity. Reservations are not accepted. Important In compliance with the Quebec Access to information Commission, we are obligated to modify our equipment loan policies. We will now ask a $20 deposit pour the loan of strollers. Please note that for safety reasons, strollers are reserved for children under 42 inches. Has your little one wandered off? Go to the Info Center to find your child as quickly as possible. 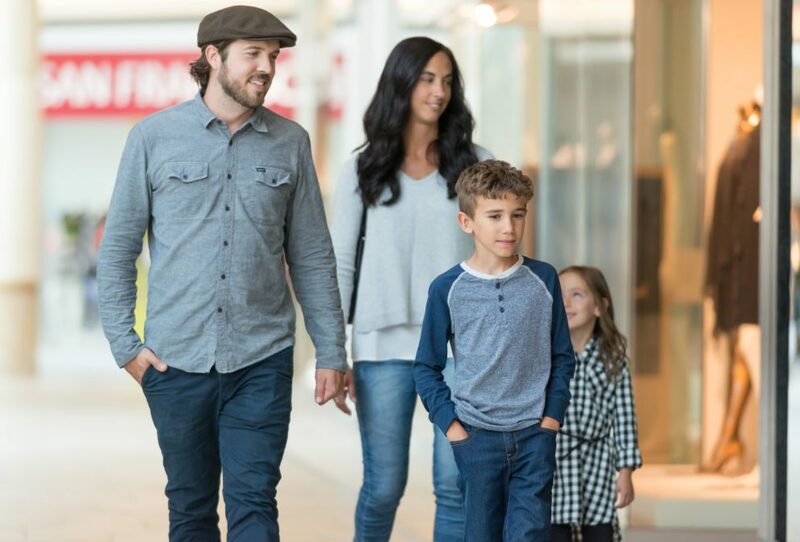 Located near the public washrooms in the food court and through the corridor behind H&M, family/nursing rooms are available for changing and breastfeeding your baby in privacy. A microwave oven and change table are at your disposal. 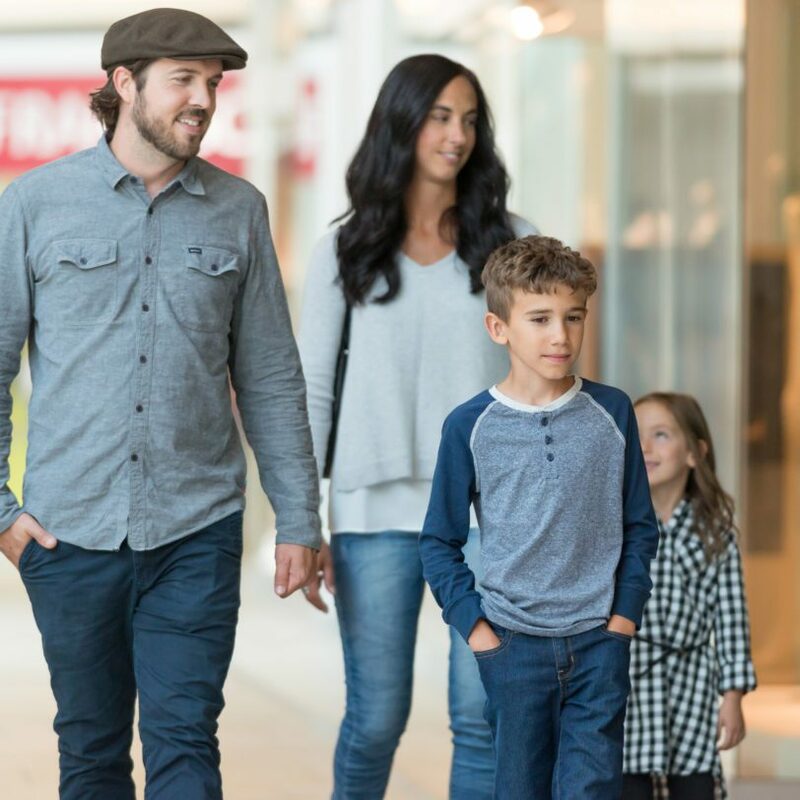 To make parking easier for young families, reserved parking spaces are available near each entrance of the mall. Wheelchairs and walkers are available, FREE of charge, at the Info-Centre. Limited quantity. Reservations are not accepted. Important In compliance with the Quebec Access to information Commission, we are obligated to modify our equipment loan policies. We will now ask a $20 deposit pour the loan of wheelchairs. For the loan of a walker, a form will need to be filled out, with a credit card number. Found items are turned in to the Info-Centre. Call 450 437-0400 to claim a lost item. Located at the mall’s main entrances, these directories will help you orient yourself quickly on the promenade. Looking for information? By connecting to Place Rosemère’s FREE Wi-Fi service, you can chat with one of our guest services employees. This service is available during regular mall hours only. The food court has something for everyone. Highchairs are available for the little ones as are spaces for people with reduced mobility. Consult the list of restaurants. Stay connected thanks to Place Rosemère’s Wi-Fi throughout the mall. To lighten your load while you shop, use one of the lockers near the Central Court. Our personnel will gladly provide these services for the following fees: Photocopies: $0.15/page Fax first page: $2, additional pages: $0.50/page Please note that the Info Center offers only letter format (8 1/2 x 11). For legal format (8 ½ x 14), please see below. Photocopying (limited quantities): Tabagie 4 As Photocopying service only: Pharmaprix Photocopying (large quantities) and fax services: Librairie Carcajou. Parking spots reserved for people with reduced mobility are located near the entrances. Do you your part and recycle your batteries and small electronics at our Info Center. Specific containers are provided onsite.